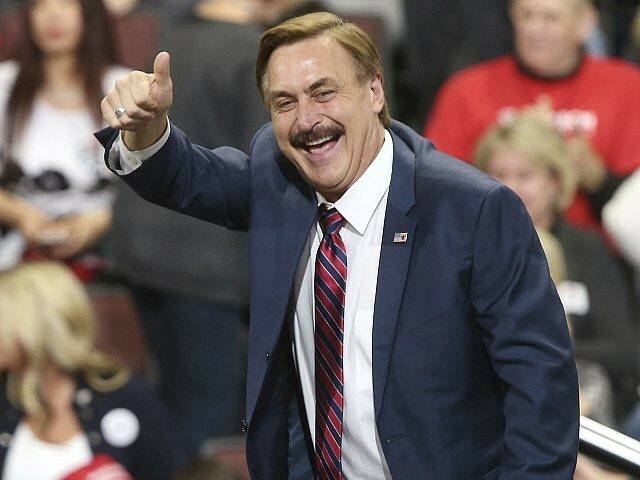 Mike Lindell, the founder and CEO of My Pillow, has invested $1 million in the production of a pro-life movie that is critical of Planned Parenthood. “I’m pro-life and I’m happy to do it,” Lindell told the Hollywood Reporter about his substantial contribution to the making of Unplanned, a film that further exposes America’s largest abortion provider. The movie is based on the experience of Abby Johnson, a former Planned Parenthood abortion clinic director, who became a pro-life activist and now runs And Then There Were None — a ministry that helps abortion workers leave the industry. Lindell, a recovering cocaine and alcohol addict and a Christian, also has a cameo role in the film in a scene in which he bulldozes a site — the former location of a Planned Parenthood facility — to make way for the headquarters of 40 Days for Life, a pro-life organization. The entrepreneur’s investment amounts to one-sixth of the film’s production budget. Unplanned was created by some of the same filmmakers who produced Christian films God’s Not Dead and I Can Only Imagine. According to the Reporter, Lindell will also finance a film based on his soon-to-be-released book titled What Are the Odds? From Crack Addict to CEO. He plans to donate proceeds of the film to his charitable foundations, the Lindell Foundation and Lindell Recovery Network. A supporter of President Donald Trump, Lindell, 57, says he will continue to help finance films that fit his values. “I don’t get into things for the money; I get into them if the message is right,” he said. Prior to Unplanned, Lindell helped fund Church People, a Christian comedy that starred Stephen Baldwin and is currently in post production. The My Pillow CEO makes a cameo appearance in that movie as well. Lindell’s support for faith-based and pro-life causes has drawn criticism from left-wing activists who have attempted to pull his ads from conservative shows such as Fox News’ the Ingraham Angle. “When they tell me to back down, I double down, and my sales go up,” says Lindell, who distributed 10,000 My Pillows to hurricane victims in Florida earlier this month. “I can pretty much go on any channel and talk about Jesus or Donald Trump, and I don’t get attacked like you would think because I’m straightforward and I tell it like it is,” he adds. Lindell founded My Pillow in 2004. His company now employs 1,600 people in Minnesota. He has sold some 43 million pillows, one of which Trump reportedly sleeps on at the White House. A multimillionaire, Lindell says he met with Trump prior to his election as president. Lindell stood near Trump in October when the president signed an opioid addiction bill.